The latest romantic-action movie Hero has released out at box office on Friday with decent hype among audience. The movie has received mixed reviews from critics as well as audience across the country. As expected it has started on an average on its first day and recorded the overall occupancy of 35-40% on Indian screens. Hero is the remake of 1983’s classic love story with same title, that was directed by Subhash Ghai and featured Jackie Shroff & Meenakshi Sheshadri in lead roles. The latest version with untouched story has almost failed to impress audience on its first day. 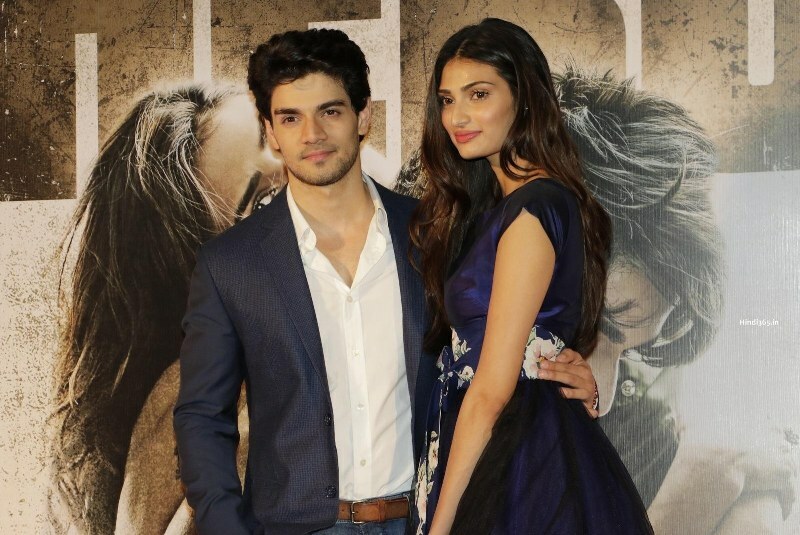 It features the star kids Sooraj Pancholi & Athiya Shetty in lead roles ,who are debuting in Bollywood with this movie. The superstar Salman Khan has produced this movie under his banner Salman Khan Films. The actor himself attended the promotional activities for movie ‘Hero’ and also he has spent good budget over it. But unfortunately the movie is not looking enough capable to collect good at box office. Salman’s stardom created decent hype of it among Indian audience, as a result it recorded 35-40% occupancy. On its first day, as expected Hero has started on an average note. The movie has received not so impressive response from audience and done the business of around 6.85 crores in India. Being weekend, the movie is expected to show growth on Saturday & Sunday. Let see how much, it will add more to its account in this weekend.